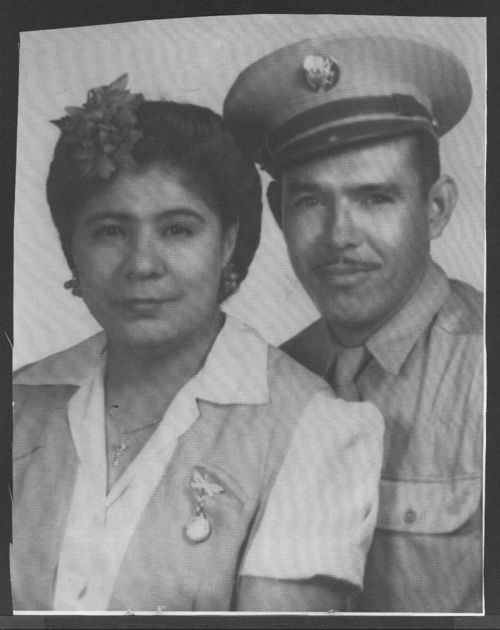 Portrait of Concepcion (Connie) and Rafael Rocha Lopez, who immigrated to the United States from Mexico. He served in the Army during World War II and the Korean War, and he later worked as a civil service barber at McConnell Air Force Base in Wichita, Kansas. Beginning in 1963, the couple owned and operated Connie's Mexico Cafe in Wichita, Kansas.